An exceptional product that has revolutionized what it means to moisturize. 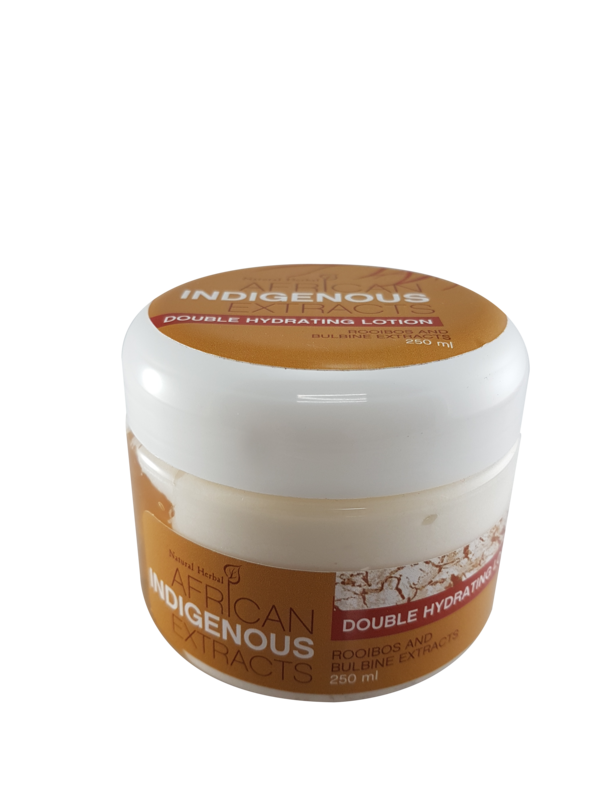 This product works two-fold, the gel hydrates while the lotion moisturizes and seals the moisture in. A visually appealing product containing a powerful combination of Rooibos and Bulbine extracts which work in unison to heal, repair, sooth and rejuvenate skin. Rooibos extract acts to soften and sooth the skin, doing away with any inflammation or irritation. It also offers excellent anti-aging and anti- wrinkle properties. Bulbine extract is a traditional African healing balm that not only heals and repairs skin yet has outstanding moisturizing properties. Apply to cleansed dry skin. For all over body use. Leaves the skin hydrated, moisturised and soothed. Listings for veganism in South Africa, including restaurants, recipes, places to stay and shop, and which foods and other vegan products are available.